When it comes to precision health, which encompasses the move toward tailored and personalized medicine over a one-size-fits-all approach, with an emphasis or inclusion of disease prevention and detection, one of the areas that seems to be most interested in the promise of that technology is the pharma industry. Mission Bio, a precision genomics company, which has applied its technology to drive cancer research, is announcing a partnership with biopharma research company LabCorp will help accelerate biopharma clinical trials, with the hope of also speeding up drug development and improving treatment outcomes. "A lot of the business that’s come our way since we launched has been with pharma, and we’ve had a lot of work with pharma in exploratory and discovery, playing around with the technology. More recently, meaning the the last couple of quarters, pharma has moved that interest into phase one and phase two, even kicking off phase three clinical trials," Charlie Silver, CEO and Co-founder of Mission Bio, told me in an interview. "All of that means that we need to have the partners set up to be able to support them. While there's a lot of interest from pharma, to be able to run it takes a really well established partner to be able to scale up the technology into what they need for their clinical trials and carry it through to the market." 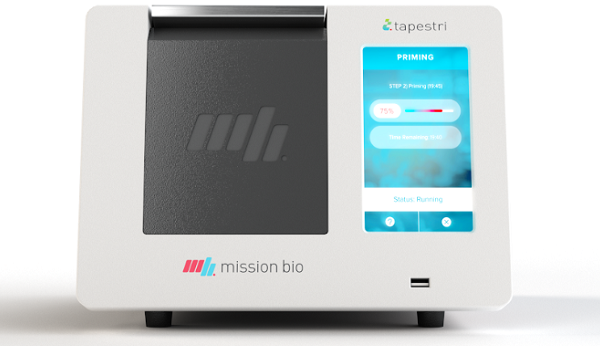 The San Francisco-based Mission Bio's technology, called the Tapestri Platform, is used by researchers, hospitals and clinicians to detect disease progression and treatment response, inform drug discovery, and verify gene edits. Tapestri is a single-cell genomic technology that reveals the molecular profile of each individual cell, allowing researchers and clinicians to create precise therapies and detect rare diseased cells that may persist after treatment, causing relapse. It is currently being used by more than a dozen cancer centers, including The National Cancer Institute, Icahn School of Medicine at Mount Sinai, MD Anderson Cancer Center, Memorial Sloan Kettering Cancer Center, St. Jude Children's Research Hospital, University of California-San Francisco, the University of Pennsylvania, and Washington University School of Medicine in St. Louis. LabCorp’s Covance Drug Development Business will be the first global contract research organization to offer services on the Tapestri Platform. In addition, LabCorp Diagnostics is also evaluating the Tapestri Platform for applications in clinical diagnostics and in the development of new companion diagnostics. Having both the drug development business and the clinical diagnostic capabilities is part of what made LapCorp the right partner for Mission Bio, said Silver, as it helps create an end to end solution. "We’ve been really excited to partner up with LabCorp because they have capability both on the contract research side, that’s their Covance business, which is now running the Tapestri as a service to pharma, and they have capability to go through to clinical diagnostics. That gives our pharma partners comfort that, as we work with them on their clinical trials, we’ll then be there for them, through this partnership, to support their drugs as they make it onto the market. The partnership really gives our pharma partners the confidence that we, as a technology provider, can support them end to end for what they need on clinical trials." 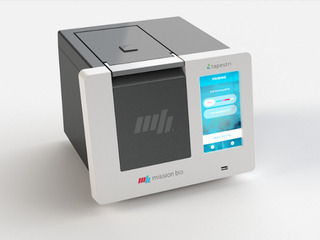 In December, Mission Bio raised a $30 million Series B funding round, which LabCorp participated in, along with Agilent Technologies, Cota Capital, LAM Research Capital, and Mayfield. With that round, the company has raised more than $50 million in total. A large part of the plan for that funding was to expand Mission Bio geographically, specifically into Europe and Asia, and LabCorp's global presence was also a major factor in the company's decision to partner with them. "LabCorp is a global CRO that’s able to support pharma across multinational clinical trials, which tends to be very important for a lot of disease areas, especially for the later stage clinical trials. So, the LabCorp partnership is very much supporting our global expansion to make sure our pharma partners can really access the technology at the scale that they need," said Silver. In addition to the new partnership with LabCorp, Mission Bio also revealed a new partnership with contract manufacturing organization Argonaut Manufacturing Services, which serves companies in the pharma manufacturing space and also in molecular diagnostics. The company will be building the kits that go out to Mission Bio's customers, which LabCorp is running in service to its pharma clients. "They are cGMP and ISO certified, so they support FDA products, and they’re very good at that. They also support to the regulatory standard that pharma needs for their clinical trials, and then beyond," Silver explained to me. "The partnership with Argonaut really works hand in hand with what we’re doing with LabCorp to be able to support pharma end to end through the supply chain, from our manufacturing all the way through to deploying and running the technology on clinical trials and then beyond. LabCorp is evaluating bringing it through to market as a diagnostic. These two partnerships really work hand in hand to support the whole pharma supply chain end to end." Silver believes that 2019 is a "landmark year for single cell, both from the research side of the market and also from our side, where we’re pulling it through into clinical trials and, ultimately, into patient care," and that these partnerships will help both the company and the market get to the next step in the process. "Over the next few years, it’s really all about taking that early research work that the market has built until now and, with Tapestri, moving that through clinical trials and into a clinical setting. These partnerships are absolutely key to getting there because we have to be able to support the pharma customers through the entire life cycle through the whole pipeline, all the way through to the market," he said. "Once the drugs hit the market we’ve got to be able to provide the biomarkers that line up with the drugs in the right approved setting on the market. These partnerships are really enabling us to get where we’re going on the market, and, in some sense, enabling the market to be able to get there with us."